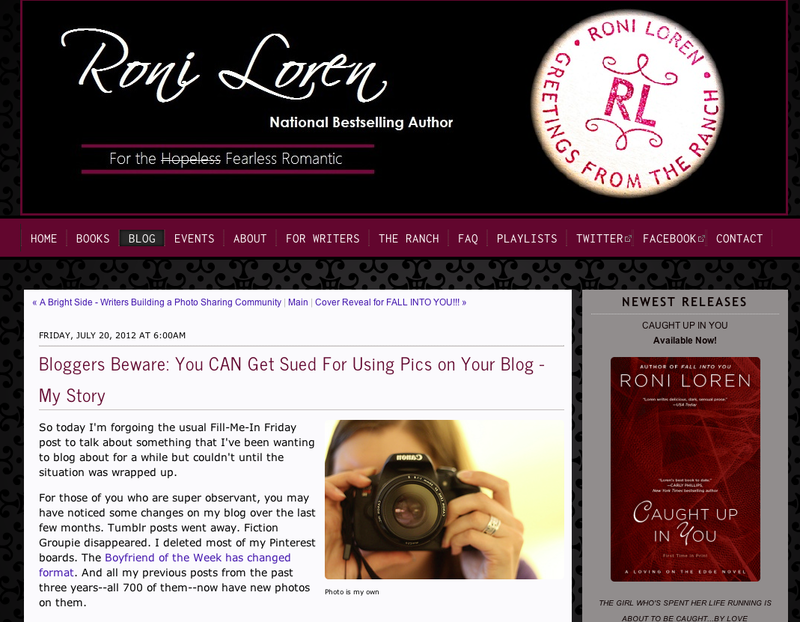 Writer Roni Loren has a really interesting post on her website about the problems of copyright from the perspective of a blogger who had a photographer chase her for copyright violations. It is an interesting read and worth a visit to her site to hear what she has to say about her experience. As a photographer I can sympathise with the person who took her to court, but as a photographer interested in building a reputation on the internet, I need people to see my work. This is where the conflict occurs we need wide exposure and we need to get paid for our work otherwise we can’t keep doing the work that we want to do unless we have another form of income. If we have another form of income and we then considered to be full-time professional photographers or are we becoming part-time photographers and part-time something else that sustains our photographic endeavours. There is however, one area that Roni does not cover which is the use of images in critique and education. As we can refer to photographs when we are using them as part of the critique and/or using images in an educational context. My suggestion if you want to use a photographers images then ask, contact them and see what they have to say. It might surprise you, as they might say yes. Be polite, say what you are wanting the image for and offer to credit the photographer for the use of the photo (this is what I mean by being polite). If the photographer is supportive of you and your aims as a website or blog, then as long as you are crediting the photographer and offering link backs to their website, that will help them build an audience that will benefit them then they may possibly say yes. At least by asking, you are shown respect to the artist and giving them the choice which will win you brownie points when negotiating. (Disclaimer: I’m not a lawyer, Please do not consider this as a legal advice, as you will have to clarify this yourself with someone more qualified than myself).